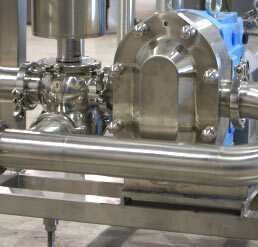 Modern industry requires stainless. Innate properties of stainless and non-ferrous metals make it the ideal material for strength, resilience, and high performance. The chemical, automotive, and commercial agricultural markets all implement quality stainless steel products because of its weight advantage, anti-corrosion and ease of maintenance. Stainless equipment is now preferred to carbon steel painted equipment. From conveyors, to certified platforms to tanks and process piping, Advanced Stainless serves the industrial sector, delivering standard and custom components at competitive prices. Our team has attained the latest certified welding and fabrication processes, ensuring that our products take advantage of the very best in raw materials and workmanship. Safety is one of our highest priorities, in our factory and on your site.